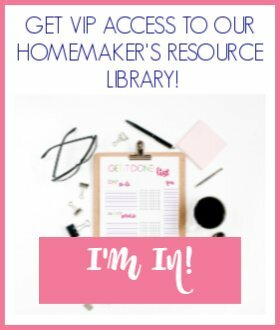 I’m so excited to show you a new addition to our homeschool this year! I’ve been looking at Beautiful Feet Books for several months. I just can’t resist beautiful books! 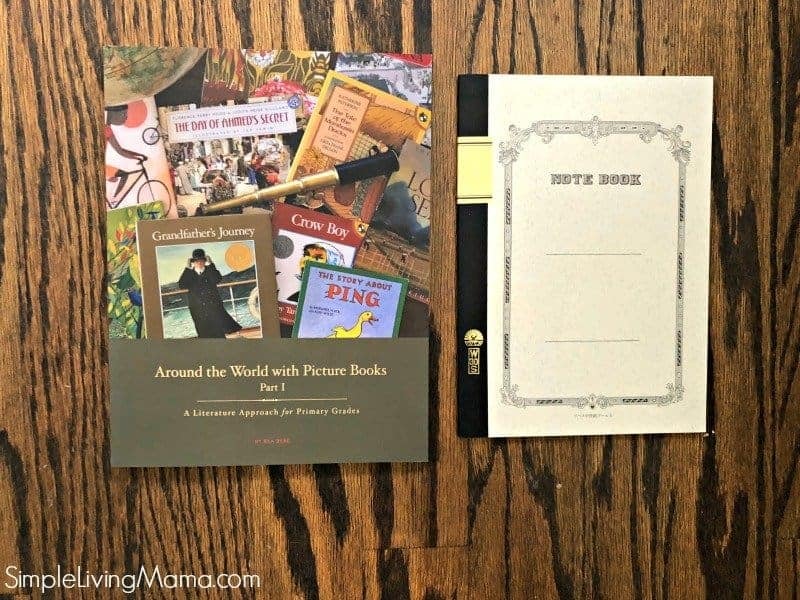 They were gracious enough to send me the Around the World with Picture Books Part 1 curriculum pack, so today I’m going to give you an in-depth overview so you can decide if this curriculum is right for you! Beautiful Feet Books is a Charlotte Mason based curriculum. 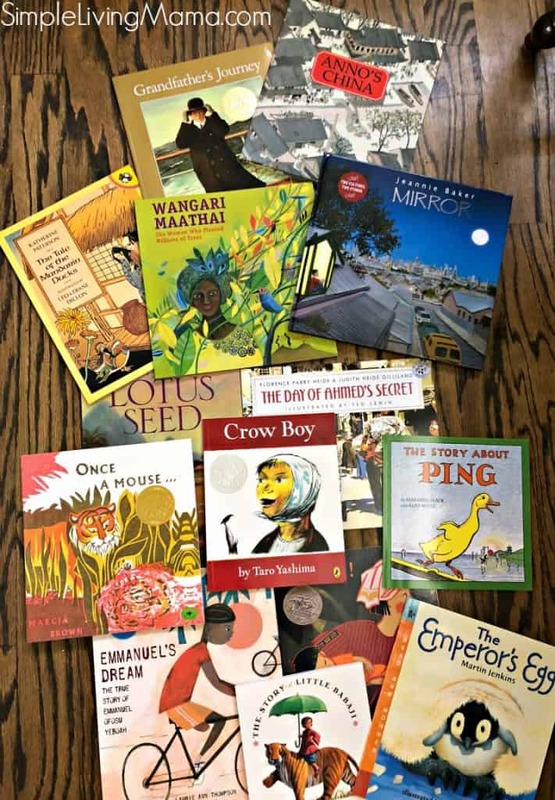 This study will introduce your K-3rd grade students to world geography and cultures through beautiful picture books! 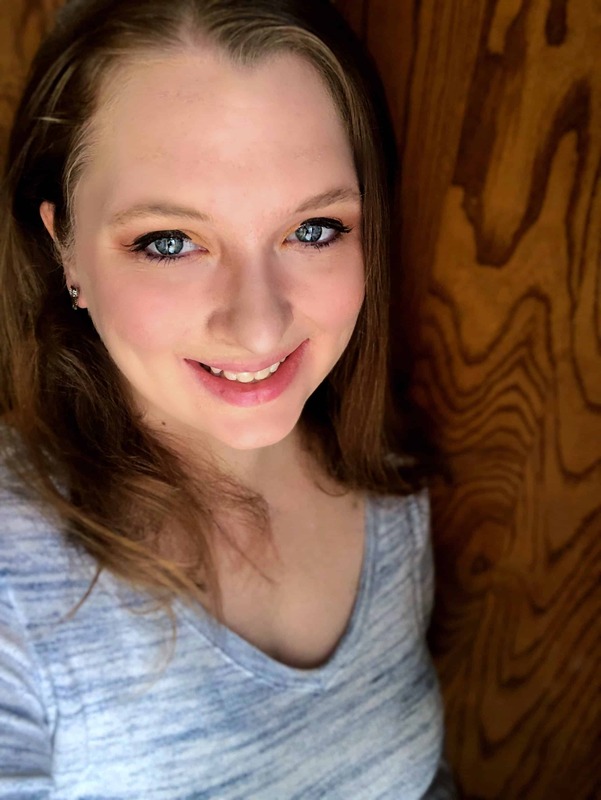 Here’s what I love: along with award winning literature, your child will also be introduced to nature study, folktales, fables, music, art, poetry, and history. There are questions to bring about discussion. Your child will create a notebook. 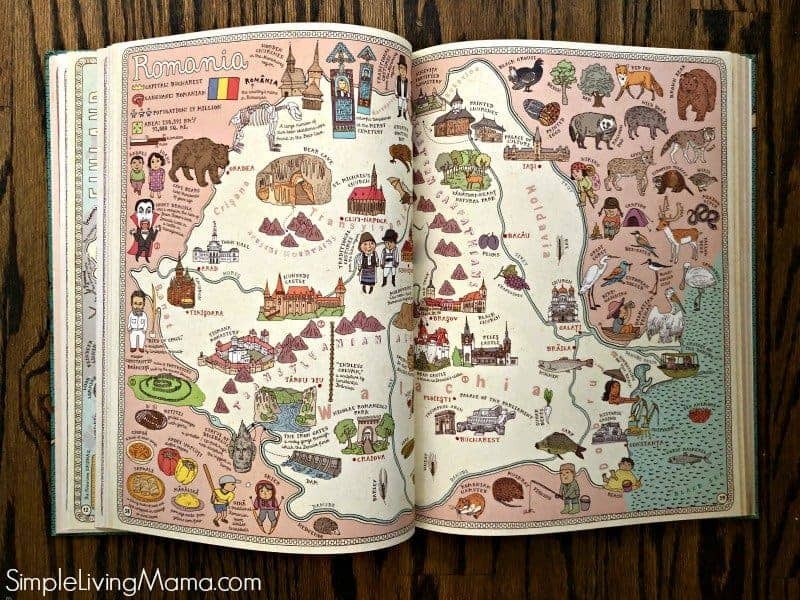 The back of the guide includes pictures of animals, maps, and flags to cut out that can be colored or painted and placed inside the notebook. I love how each region includes animals native to the area, so we will also learn about those habitats, as well. There are 70 lessons in this guide book. The continents covered are Asia, Africa, Australia, and Antarctica. 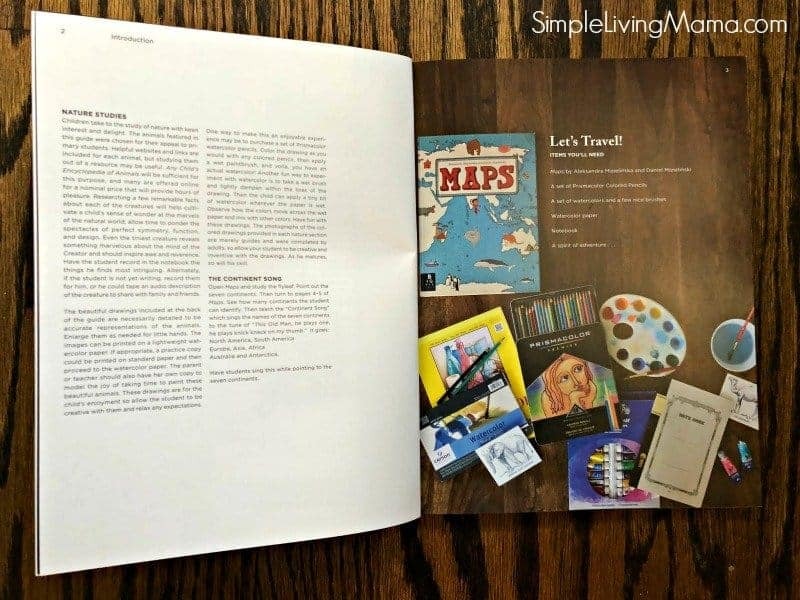 Here’s a look inside the guidebook and a list of everything you need! The guide book is gorgeous! 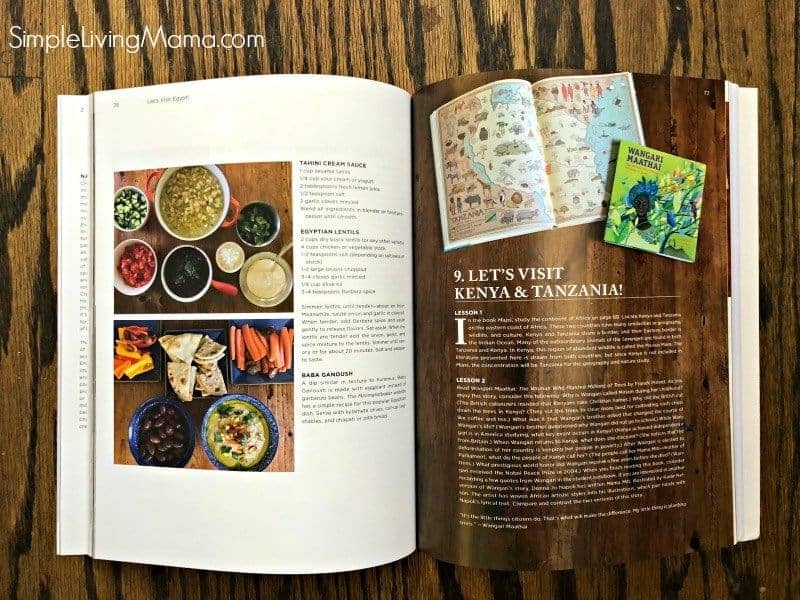 Each region ends with recipes and ideas for trying the cuisine of the country you are visiting. I cannot wait to make some of these delicious recipes. 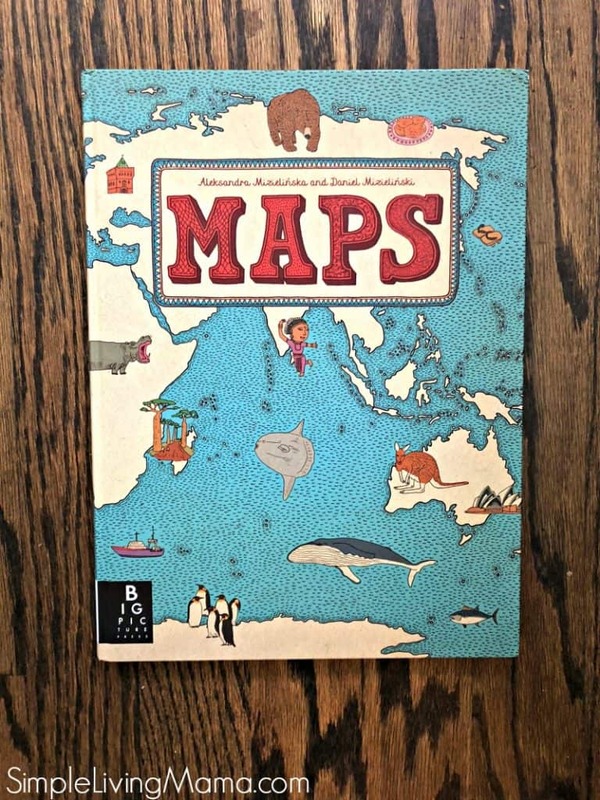 This MAPS book is absolutely gorgeous! My kids flipped out when we opened this book up in our unboxing video. It is an amazing book, and I highly recommend it for every homeschool library. Here’s a peek inside. It is perfect for primary grades. 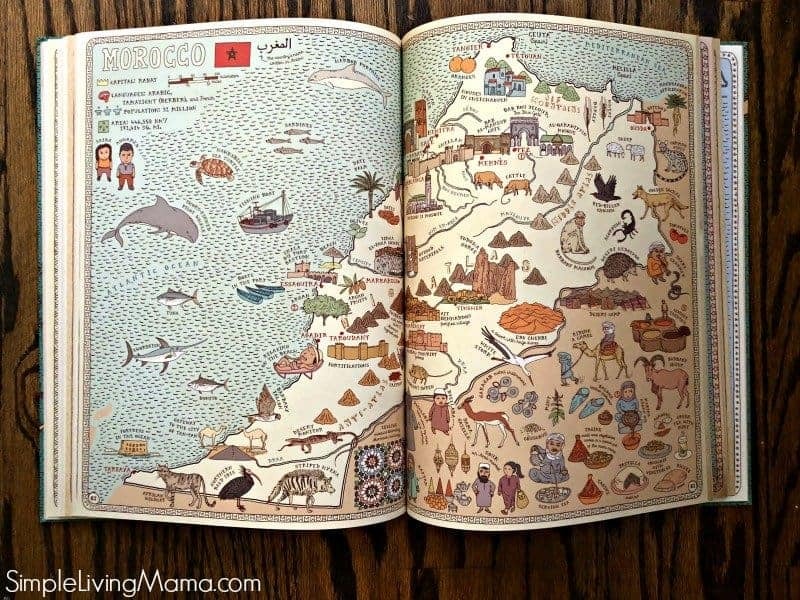 There are tons of pictures that help kids learn more about that country. And here you see all the beautiful picture books that are to be read with this curriculum. I love how these books are award winning classics and I know my kindergartner and second grader will especially enjoy them. I mean, I will even enjoy them as a homeschool mom! I cannot wait until we have started this curriculum so I can do a more in-depth review and show you samples of the kids’ work. 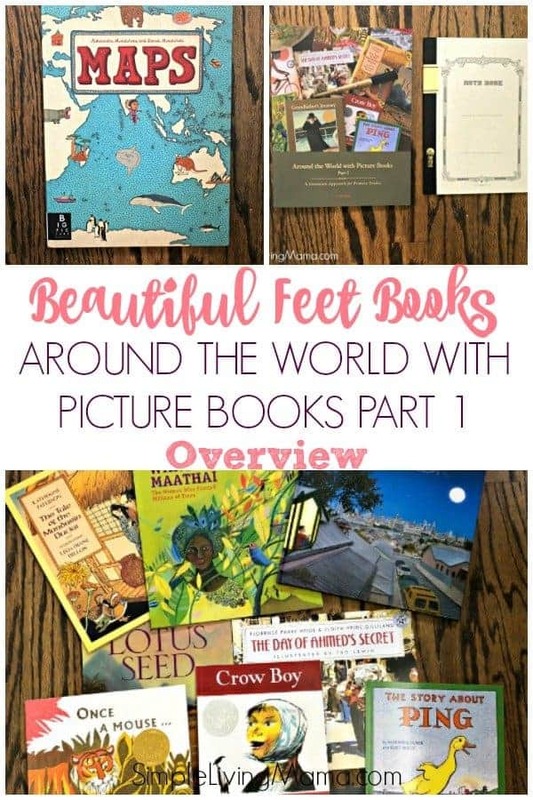 I am tying this curriculum from Beautiful Feet Books into our studies with My Father’s World Exploring Countries and Cultures. I think it will greatly enrich what we are learning. I’m so excited for a full year of wonderful geography and cultural studies with the kids! To see a flip-through of this curriculum, be sure to watch the video below! And then go check out Beautiful Feet Books for yourself!